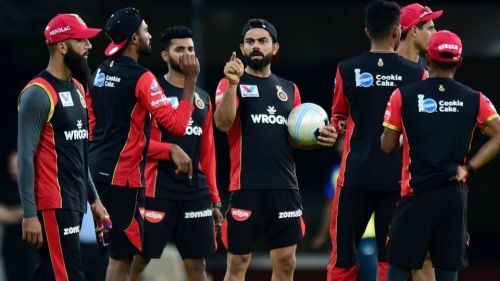 The deadline for Round 1 of IPL Fantasy League 2019 is getting nearer and nearer and with a lot of options available, it will be a hard time in choosing the right team combination. With the change in the system and with the game being played in the form of 7 rounds than making changes every game, the selection has to be very careful. For Round 1, here's the best fantasy XI you can pick. There are a few considerable omissions in this team which aren't unwarranted. 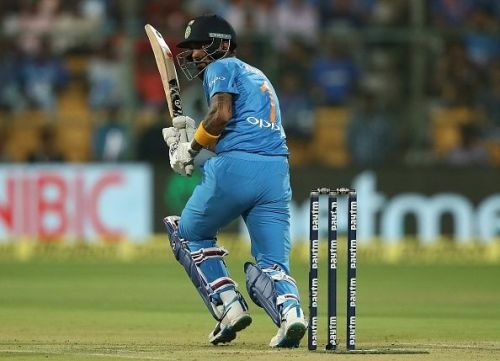 There is no Rohit Sharma, Suresh Raina, Ambati Rayudu or any other prominent top order batsman because we need time to see where they bat and how they bat. If we get the wrong big-money players in the side, a lot of money will be wasted and considering that there are two matches for each team this round, it will be enough time to see who is the player who deserves backing throughout the season. So taking all that into account, the first pick will be KL Rahul, he scored runs consistently throughout the last season. He has Rajasthan Royals and their weak spin attack in the first game, and KKR and their depleted pace reserves to score runs off. At 10.5 credits, he's the most costly wicket-keeper but is worth the price. Next comes Virat Kohli, who is one player who you can be confident on to score at any match and against any opposition. Also, he is selected by more than 60% of players so if he fires, we'll see a huge slide in the rankings. Next, come the 3 all-rounders around whom the team is going to revolve. The first one will be Kedar Jadhav, a surprising pick considering the amount of fantasy value which CSK have but his price of 8.5 credits is pretty low for someone of his quality. Jadhav will certainly get opportunities with the ball with Dhoni being the captain and if he's behind the stumps, Jadhav almost always picks up wickets. He's also expected to bat at No. 4 or 5 based on where Dhoni bats. With games against RCB and DC, high-scoring encounters are expected and this further increases his value. Next up, two all-rounders who pretty much pick themselves, Sunil Narine and Ben Stokes. Both Andre Russell and Narine are good picks from KKR but due to Russell's poor form and Narine's expected flourish with the bat, the latter gets the nod. 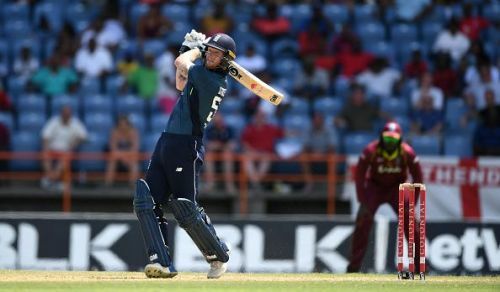 As for Stokes, there is a choice between him and Jos Buttler but with decent form and fantasy points with both bat and ball on offer, he trumps his team-mate for Round 1. In the bowlers' list, Bhuvneshwar Kumar is a must-have. He has the ability to get wickets both with the new ball and in the death over and edges out Rashid Khan due to the fact that he's an Indian player. For the compulsory uncapped pick, go with Varun Chakravarthy from Punjab because he seems to be the only player who will have the main role to don despite being uncapped. Also, his price of 7.5 credits makes it hard to resist. These players should form the core for this season. Expect most of them to fire and even if I have to transfer them out at some stage, they will be the first in line to be transferred back in later. Now for the other 4 players who you should not prefer for a permanent role. Mohit Sharma is another pick purely based on CSK's circumstances. With Lungi Ngidi injured and David Willey set to arrive only after their second match, Mohit simply has to play and can actually deliver under Dhoni. Also at a price of 7.5 credits, an assured starter like him is a good pick. Next comes Shimron Hetmyer, the Caribbean batsman from RCB. His price of 8.5 Credits gives him the edge over other overseas batsmen and he's also sure to feature for RCB in the first two matches. Next up is another keeper, Ishan Kishan adds to the list purely due to the uncertainty over Mumbai's top order and his good form. Kishan is expected to bat at No. 3 and at 8.5 credits, he can be a good value option over the likes of Rohit Sharma or Quinton de Kock. With a lot of options available for their middle order, we need to wait and see who occupy the spots and if Yuvraj bats at No. 4, he will also be a good deal at a price of 8 Credits. As for captaincy choices for this week, Ben Stokes looks a good pick and so does KL Rahul though one should rather prefer to go with the all-rounder. Virat Kohli or Andre Russell will be best suited for the vice-captain pick. Here are some players not in this team but are quite good fantasy options.